"What to do in Bali while on vacation?" The question is very much conveyed by the person before deciding to take a vacation in Bali. There are many things that can be done in Bali. Start of fun to find peace of mind and body. Travel and outdoors activities or indoor activities of attractive and fun. Bali provides a much needed tourists. There are two types of tourist activities and of activity that can be done in Bali. Indoor activities, and outdoor activities. Activities that can be done outdoors can be read at this link: "Thing To do in Bali: Outdoor activities". Learning yoga is an activity that is very popular in Bali. Almost all regions in Bali have a place to learn yoga. Yoga is very healthy and fun. Most yoga classes in Bali owned by foreign citizens, with a local instructor. Difficult to find a yoga class that is owned and managed by local residents. Because, for the people of Bali, yoga is not so popular. Only the western most widely studied yoga in Bali. Yoga is for things to do in Bali, and is very popular. Painting is one thing to do in Bali. So, what can be done in Bali is learning to paint. Bali is very famous artists with works of art that has high artistic value. Painting is one of the arts that can be obtained in Bali. There are many art galleries that teach about art. If you want to learn to paint in Bali, come to Gianyar, especially in Ubud. 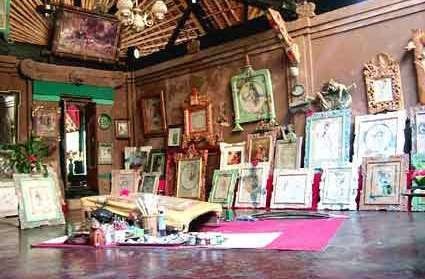 In Gianyar there are many art galleries to painting classes. One of the many things to do in Bali is to learn to dance. Balinese dance is very famous up to foreign countries. Balinese dance moves on the dance is very dynamic, assertive, and one characteristic of Balinese dance is a glance of the eye such as flash. 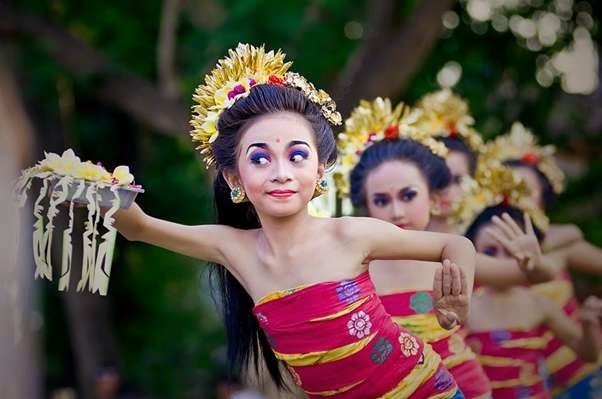 Almost all parts of the body plays a role in Balinese dancing. Many foreigners are very fluent dance Balinese dance. In fact they are already accustomed to performing in various events. They generally learn Balinese dance in a way to come to Bali, then studied at several places of training. There are specially studied at the school dance, there is also a non-formal learning in places Balinese dance studio courses or scattered throughout Bali. For those of you who want to know more about the culture of Bali, might try learning Balinese dance. Cost to berajar Balinese dance is very cheap, because it is directly in the learner by dancers who have advanced. Usually the Balinese dance for love and devotion, not on the basis of money. Spa Bali is very famous. Spa in Bali has been popular since ancient times. The Balinese antiquity almost every day doing spa. The Balinese call with boreh. The herb as Boreh is for the spa of various spices. Warm and refreshing taste is characteristic for boreh. Before strangers know Bali, spa boreh has become daily life of the people of Bali. However, since the technology and science of medicine has advanced and entered into Bali. The fewer people who use the spa Bali cream to warm the body. But Bali spa is now very popular among tourists, and became a lucrative business by tourism actors.